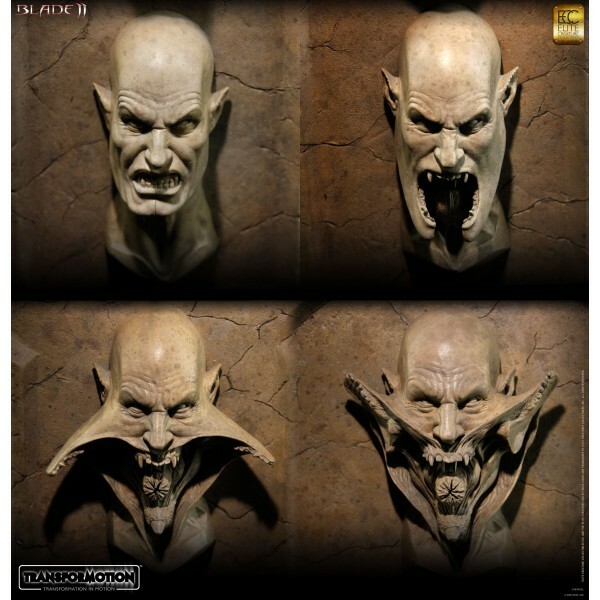 Elite Creature Collectibles presents it's “transformation in motion” placard. 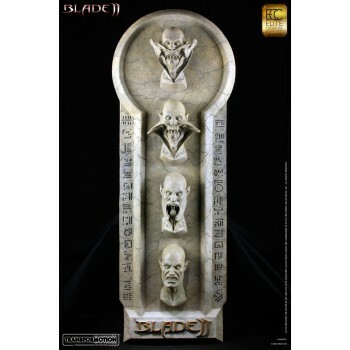 The first in a line of Transformotion collectibles – The Placard is a four-in-one sculpture representing the different stages of the Blade 2 Reaper as it prepares to bite. 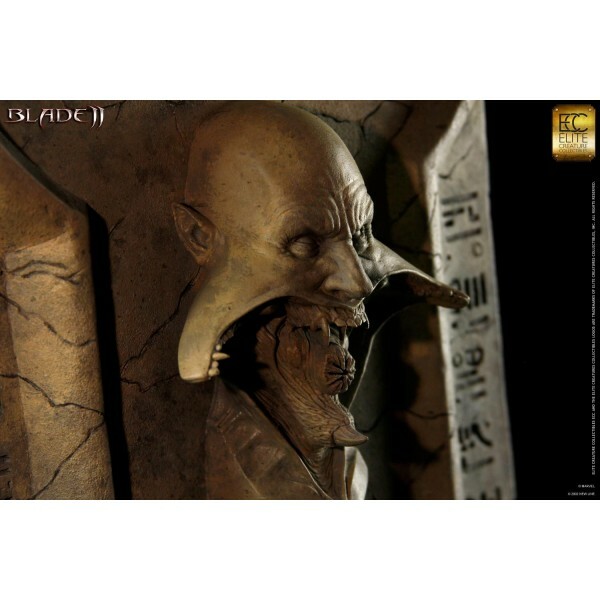 The Transformation Placard is sculpted by Special FX Master Brian Wade, and is based on an unused creature concept by Constantine Sekeris for the film Blade 2. Standing approximately 34 inches tall, the horrifying Reaper is set against an authentic sandstone effect wall, engraved with vampire glyphs. 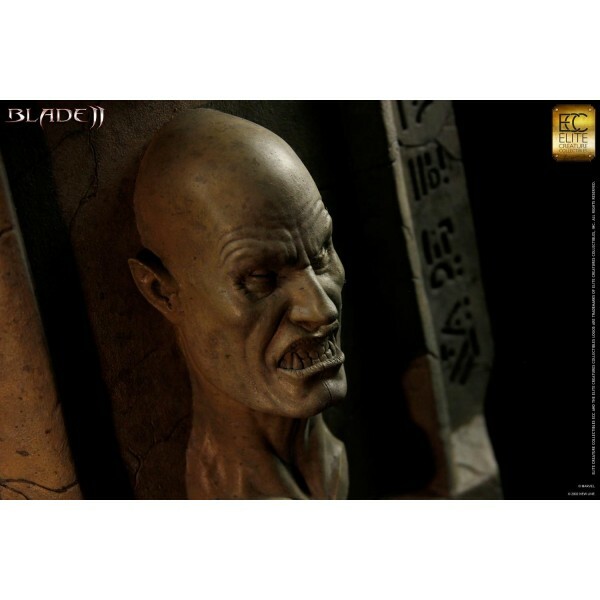 This is the perfect piece to complete your Blade 2 collection! •Approximately 34 inches in height. 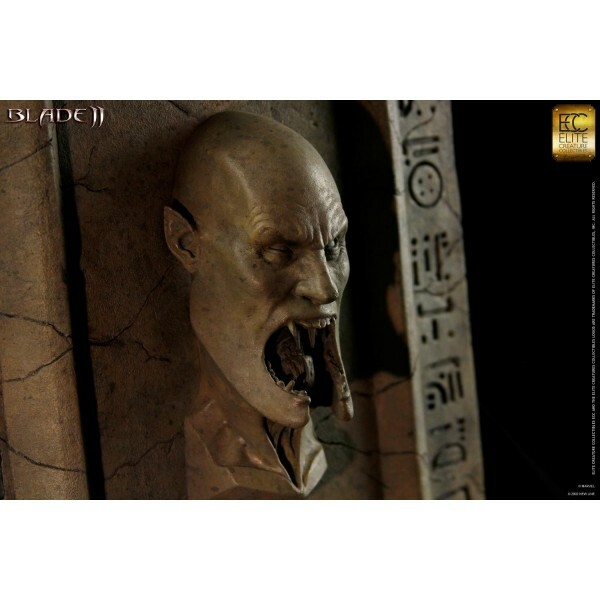 •Sandstone effect placard with etched vampire glyphs. 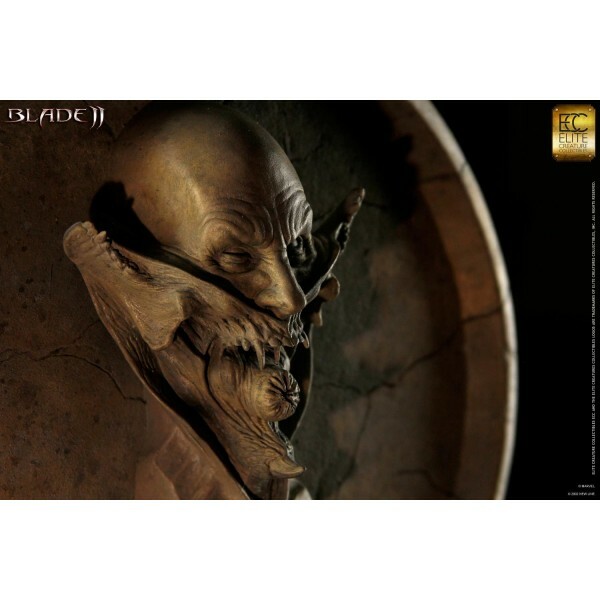 •Limited in production to 100 units worldwide.